Klaus Iohannis, the winner of Romania’s presidential elections, has been serving as mayor of Sibiu, one of the largest cities in Romania, since 2000. He is credited with turning his city into one of Romania’s most popular tourist destinations. 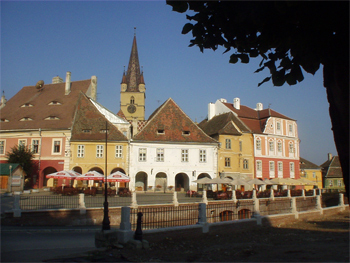 He also contributed do having Sibiu named European Capital of Culture in 2007. 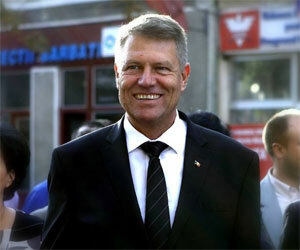 Iohannis, 55, was born in a family of Transylvanian Saxons. His parents emigrated to Germany in 1992 and got German citizenship.Klaus Iohannis, however, stayed in Romania. He graduated the Faculty of Physics of the Babe?-Bolyai University in Cluj-Napoca and then worked as a physics teacher until 1997. From 1997 to 2000, he served as deputy general school inspector and then general inspector of the Sibiu county, coordinating the public schools in the county. In 2000, he was first elected mayor of Sibiu, representing the Democratic Forum of Germans in Romania. He got re-elected by a wide margin in 2004, 2008 and 2012. In October 2009, a grand coalition made of the National Liberal Party (PNL), the Social Democratic Party (PSD) and the Hungarian Democratic Union (UDMR), who were at that time in opposition, proposed to President Traian Basescu to name Iohannis Prime Minister, but Basescu refused. Klaus Iohannis returned into national-level politics in Romania at the beginning of 2013, when he joined the National Liberal Party (PNL) and was elected first vice president of the party. In the beginning of 2014, PNL nominated Iohannis for the position of Administration Minister and First Deputy Prime Minister, but PM Victor Ponta refused to make the nomination official. This led to the break-up of the Governing union, the Social Liberal Union (USL), which was made of PNL and Ponta’s PSD. In June 2014, Klaus Iohannis was named president of PNL, and became the party’s main candidate for the presidential elections. PNL the made an alliance with the Liberal Democratic Party (PDL) to support Iohannis’ presidential bid. He is married to Carmen Iohannis, an English teacher at the Gheorghe Lazar National College in Sibiu. They have no children. Klaus Iohannis owns three houses and three apartments in Sibiu, which he bought in the last 20 years. He also has some EUR 40,000 in banks accounts. Last year, he made some EUR 9,900 from his salary as mayor of Sibiu and more than EUR 51,000 from renting his houses, according to his public wealth statement, quoted by Mediafax. Iohannis is fluent in Romanian, German and English. He is a member of the Evangelical Lutheran Church. Klaus Iohannis won the second round of the presidential elections, on November 16, 2014, beating his opponent, Prime Minister Victor Ponta, by a wide margin. Iohannis got 54.5% of the votes, compared to just 45.5% for Ponta.